This week, in Social Studies, my first graders are learning all about communities. To get them to think about what's in their community, I created this web for them to jot down their thoughts. Then, they rewrote the information in paragraph form. It's amazing how many children are not aware of the names of stores and places they visit in their community. They know they go there, but they don't pay attention to the names or their parents don't tell them. Click on the image below to get a copy of this UPDATED writing activity! Here are some examples. I included lined paper in the download, but my students used storybook paper. Please note that this writing activity has been updated since I took these pictures! These students did not finish their paragraph yet, but I thought they did a good job on the web. Vicky lives near me, so notice what she wrote in her web! She actually asked me if it would be okay for her to write that! How cute! My students are also continuing to learn about plants and flowers. At this station, they are making paper flowers and writing a fact on each petal. They are also enjoying an activity from Centers in a Bag. Here, they are sorting nouns, verbs, and adjectives and recording some of them on the recording sheet. That's it for now. Thanks for looking. If you download the freebie, please leave me a comment and let me know what you think. Thanks! Very cute freebie. Thank you so much! Haha, tagged again. Man, that took me forever when I played. I'm not as fast as I was when I was a kid ;) Although my mom still calls me a kid.. Anyway, I love the freebie! Thanks for sharing!! I love this freebie! Your kiddos did great with it too! Tag! 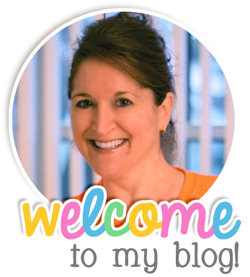 I've tagged you because I love your blog! Oh my! Four more tags! That makes a total of 7! I wonder if anyone wants to hear 70 things about me? LOL! I think I better wait until I have a free couple of hours to answer the questions! Stay tuned...And thanks so much for thinking of me. I feel blessed! I love the community writing activity! We are saving our community unit for June, so this will be perfect! Thanks! I love this! I posted a link from my communities project. Thanks, Jill! I'll do the same! Your project was really great! Loved both the communities project and the flower facts. Awesome! Thanks, Neesa! I appreciate the kind comment! Love Love Love the Plant-Noun, Verb Adjective sort! I agree! Click on the link so you can get the activity. I believe it was a freebie. Thank you for the freebie! I love your ideas. That's very kind of you to say. Thanks so much! I love your Community graphic organizer but the link doesn't seem to be working for me :( Is there somewhere I could get a copy of it? I can email it to you. Just send me your email address. I love the idea of gathering information about the community using a graphic organizer. I was trying to get it, but I'm not able to. Is there any other way to down load it? Love the community web as well!! I'm not able to download it by clicking on it. Would you mind sending it to me? Thanks so much! 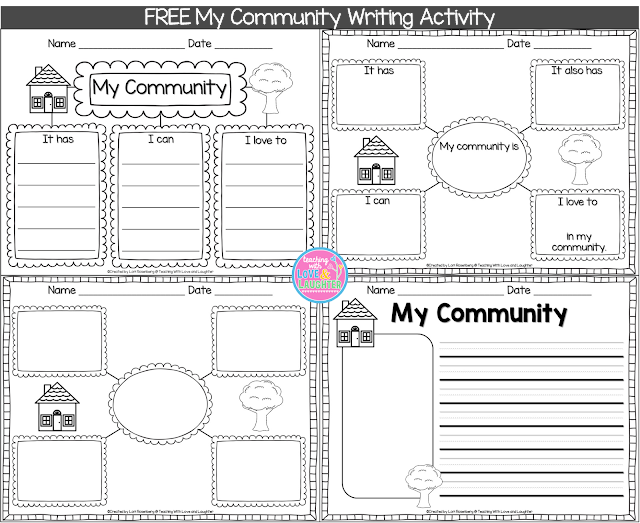 Is there a way to still get your community writing Freebie? I just love it. If so, Please email tjwraines@gmail.com. Thank You!!! Thank you so much for this activity. I can't wait to get this started. Thanks for this project. My students will really enjoy creating their "community". Can't wait to get started.